Welcome to Blooper Week, where we'll be polling various cooks and food writers -- as well as the Food52 staff -- about their biggest Thanksgiving bloopers and their essential tips to avoid future disasters. Today: Molly and Brandon from Seattle's Delancey and Essex talk you through how not to have a mash blooper on the big day. Mashed potatoes are tricky. As a concept, they’re straightforward (most of us can make them without a recipe), but that doesn’t mean that we’re thrilled with our mash, or that we can’t make it better. After all, mashed potatoes should be more than just a vehicle for gravy. Here are some tips for improving this year’s mash -- without any mishaps -- whether you’re making it for the first time or the fifteenth. Choose the right potato. This sounds simple, but it’s worth stating: When you’re making mash, you need a fluffy, fairly starchy potato, not a waxy one. Yukon Golds are a great bet: They’re available in nearly every grocery store and farmers market, and they have a velvety texture that works well in all kinds of preparations. Good old Russets are excellent, too. When in doubt, stay away from fingerlings and those little red potatoes that are so good in potato salad: the waxiness that helps them hold their shape in salad makes for a gummy, gluey mash. 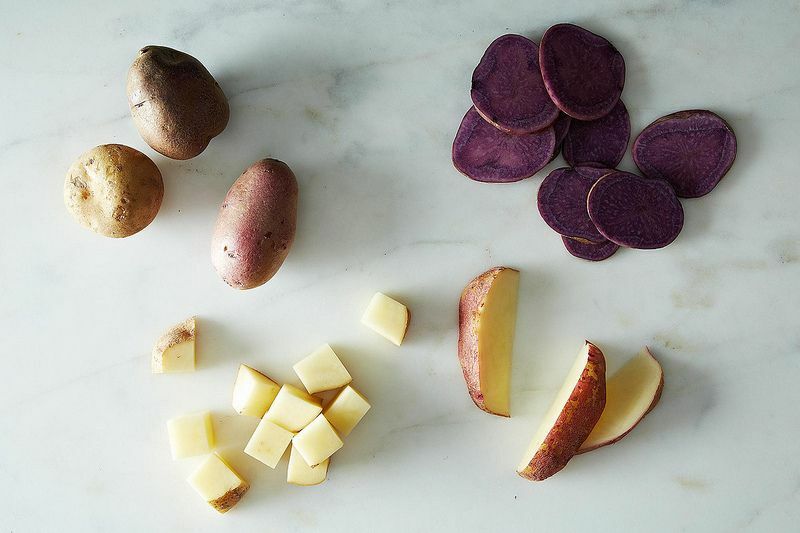 More: Read up even more in our Potato Primer. Don’t peel or cut your potatoes before boiling. When peeled and cut potatoes are cooked, they lose valuable starch and flavor to the cooking water, and that water also gets into the potatoes themselves, making for a thin, bland mash. Instead, cook your potatoes whole, and then peel them as soon as they’re cool enough to handle. 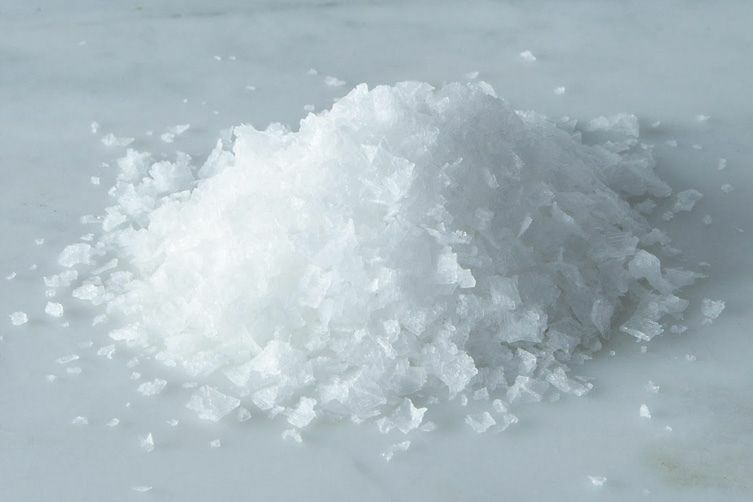 And while we’re talking about boiling potatoes: Hey, don’t forget to generously salt that cooking water. Use the right tool for the job. If you like smooth, silky mashed potatoes, use a ricer or food mill to mash them. If you like it chunkier, a potato masher is your tool -- or even the back of a wooden spoon. But steer clear of the food processor, which can make potatoes gooey and weird. Your goal in mashing is always to limit the amount of damage to the cells of the cooked potato, because breaking open those cells releases starch and leads to sad, gluey mash. Butter! The most famous mashed potatoes in the world are Joel Robuchon’s, which use an infamous 2:1 potato-to-butter ratio. Take a minute to let that soak in: For every pound of potatoes, Robuchon uses half a pound (2 sticks! 2 sticks!) of butter. It sounds outrageous, and it is. It’s also outrageously good. You don’t have to get quite that freewheeling, but if you want your mash to taste as good as what you find in restaurants, you’re going to need more butter than you think. Chefs often disagree on the order in which butter and milk should be added: Some swear by adding butter first, followed by warmed milk, while others melt the butter into the milk and mix them together into the potatoes. Whatever you do, keep the potatoes hot while you mix, and mix quickly and briefly. Don’t be shy about adding other flavors. There’s nothing wrong with the traditional potato-butter-milk-salt combination, but you can get big boosts in flavor from small, easy additions. Try adding some celery root, which mashes like a potato but brings with it a faintly nutty, celery-like flavor. Or roasted garlic. Or, hey, caramelized onions! Brandon likes to slice up a ton of onions, cook them slowly until they’re golden brown, zizz them in the food processor with butter (or olive oil, if we’ve got vegans at the table), and then mash that purée into the potatoes instead of plain butter and milk. Delicious, especially with a good dose of Parmigiano Reggiano, too. What are your secrets to perfect mash? Let us know in the comments! I just braved a no-recipe attempt, armed with only these mash tips, and came away with great success! I used Yukon Golds, boiled them whole and unpeeled, and as promised they held their starch beautifully through mashing. Generous amounts of whole milk and salted butter worked well to complete the mash. Thank you, Molly and Brandon, for the wonderfully reliable advice! We add parsnips to our mashed, excellent! Potatoes, butter, cream, egg yolks,pressure cooking the potatoes, while the potatoes are cooking mix together the butter, cream and the egg yolks, add salt and pepper and keep it warm over a bowl of hot water. Best way to keep the potatoes hot is to hold them with a folded kitchen towel and putting them back into the pan. We always leave a bit of the water to make sure they will not get too dry. Then slowly add about half of the cream mixture and with an immersion blender begin to blend them from the top first, add the liquids slowly as you blend them. This is a bastardized recipe of Potatoes Duchesse and Julia Child had the best recipe to make them. Grate very liberally a whole nutmeg, stir once more and serve. I have never had better mashes yet. I steam my potatoes instead of boiling them. They turn out much more flavorful. Hmm, I vaguely remember my (half Irish) mom boiling new potatoes in their jackets instead of peeling them, but they were still very waxy (fresh out of the garden, served skin-on with butter and parsley). Then again, she may have made mashed potatoes using the same method when they'd been stored awhile, and they'd become more starchy. I intend to give this a try. 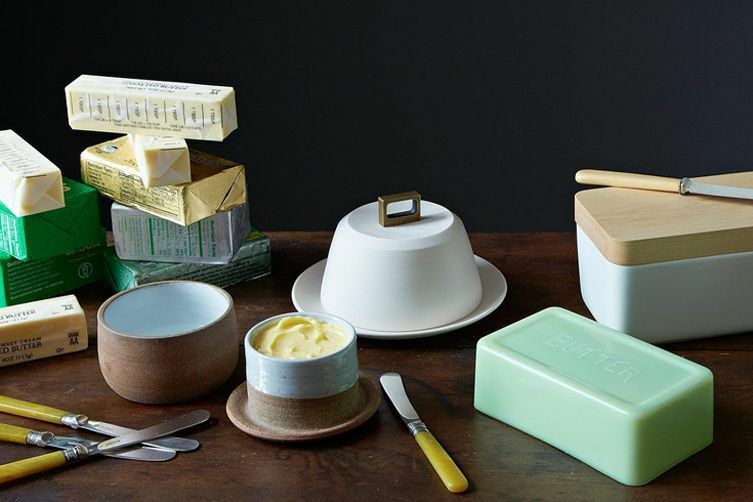 I'll even consider that wicked butter ratio, since butter has been on sale for cheap lately! I add some garnet sweet potatoes-- maybe about a 1/3 ratio of sweet potatoes to Yukon golds. Lots of butter. And my secret ingredient-- apple cider vinegar. Not enough to make the mashed potatoes taste vinegary-- just a big splash to wake up the flavor. Trying to wrap my brain around peeling the potatoes while cool and then keeping them hot while mixing - over a flame? Have always peeled and cut the potatoes; if the 'tater starch and flavor gets into the water, then use the potato water for gravy making. I am also curious about how to keep the potatoes hot. Please help! Yes! We were also puzzled when we first heard that it was best to peel the potatoes after cooking - but ALSO keep them hot. What works best is to spear the hot potatoes with a fork and peel them with a small knife (or, if that's too fiddly, let them cool a little more, until you can use your hands), then process them through a food mill set over a pot set over low heat. (You can use the same pot that you boiled the potatoes in.) Turn them a bit to warm them and dry them, and then add your butter and whatnot. OR! If you're using a ricer, you generally don't need to peel the potatoes at all: the skin will stay behind in the ricer. Russet + cauliflower + gruyère is another really nice combination we recently discovered. I'm guessing it'd go great with Brandon's caramelized onions, too. I also do potato purées with either celery root, sunchokes, or parsnips added, to mix up the flavor a little. I am 100% using Brandon's onion trick next week. Try freshly ground nutmeg in addition to salt. Don't add too much but a little gives the finished product a great flavor that most guests cannot put their finger on. I peel, cut the potatoes in half and boil them in salted water to cover until done; 20 minutes or so. I drain them, return to the pan over low heat to dry them out. I then use my masher pressing straight down on the potatoes for a couple of revolutions around the pan; add 1 tbsp. of butter per potato (and one for the pot!) and mash it in a couple more rev's around the pan. I then add the milk, about 1-2 tbsp. 's per potato, and whisk it in until the mixture is just fluffy..maybe 15 seconds. Plate them and add a chunk of butter to the top and some minced parsley. YUM!